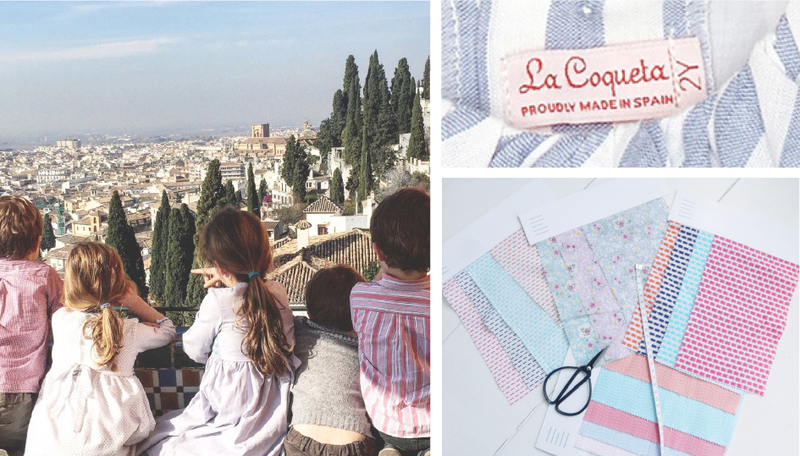 We are back with some updates as well as a look at an outstanding Spanish childrenswear line, La Coqueta. Obviously, the big news of the day is that we have a name! 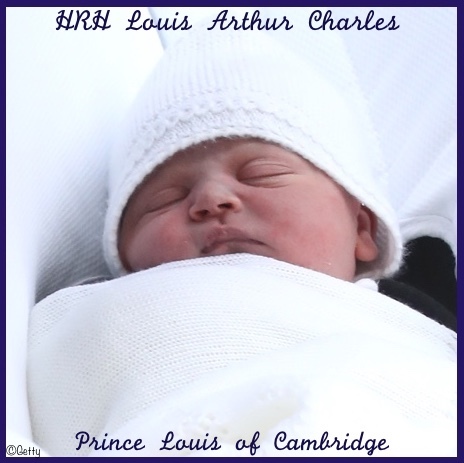 Say hello to Prince Louis Arthur Charles of Cambridge. News of the name for the fifth-in-line to the throne was revealed on Twitter this morning. Speculation and interest had grown all week. 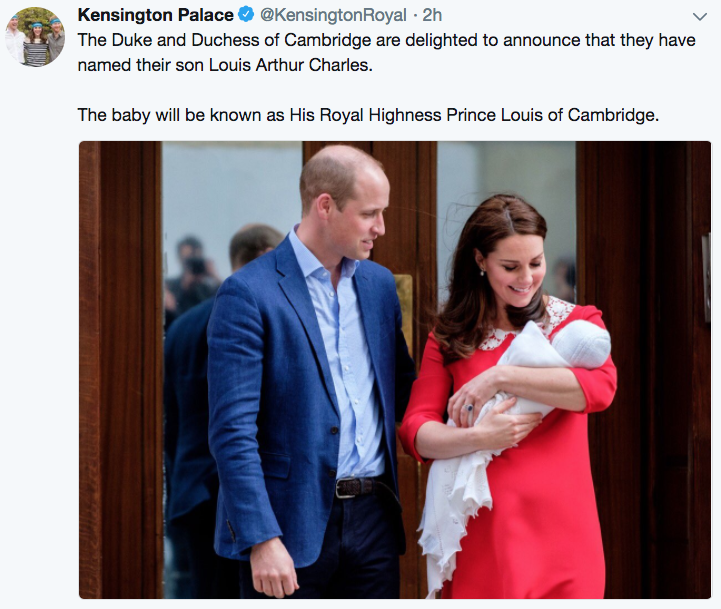 This is the longest it has taken Kate and William to announce the name of one of their children; both George and Charlotte’s names were announced two days after they were born. When at an engagement last night William was quizzed by reporters about the name and said, “”I’m working on that one” and “you’ll know soon” according to Town and Country. The name is actually pronounced Loo-ee, like the American name Louie. Of great significance to the family, especially Prince Charles, is the name’s tie to Lord Mountbatten, Charles’s great-uncle. Louis was the first name of Earl Mountbatten of Burma to whom he was very close, murdered by the IRA in 1979. The Telegraph reports the name is French and German in origin and means “renowned warrior”. We will have more on the name on sister site What Kate Wore later today. 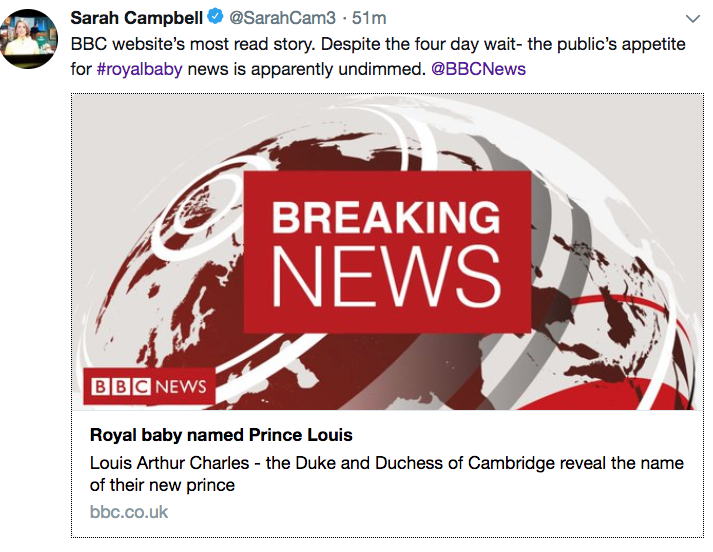 The name announcement and the royal baby topic continue to dominate the news, as seen in this tweet from the BBC. It looks like there will be a new cousin for Princess Charlotte and Prince George to play with, Kate’s sister Pippa, and husband James Matthews, are said to be expecting their first child this October. There has not yet been official confirmation of that news, but it appears to be the case going by reports from multiple media outlets. 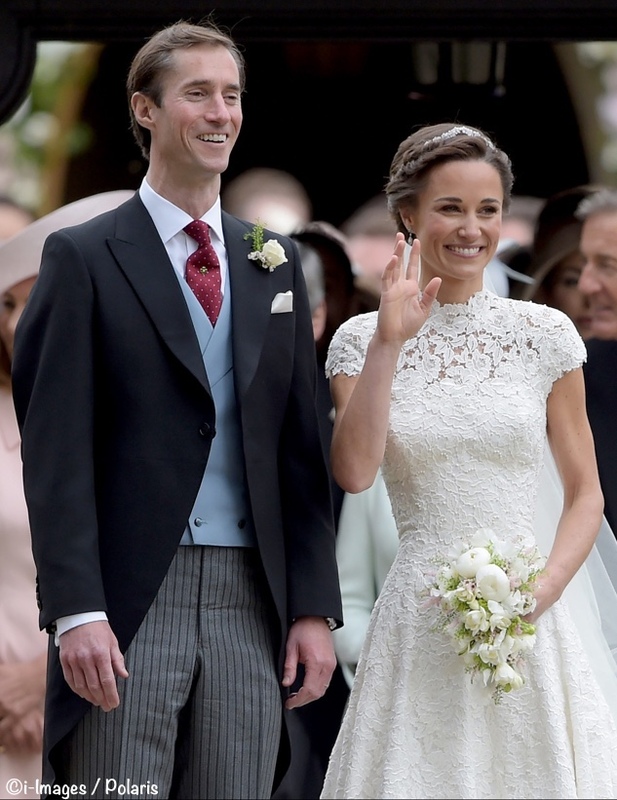 The children’s Aunt Pippa was one of the first visitors (if not the first) to Kensington Palace on Tuesday. Here you see her leaving the Palace after what was described as a two-hour visit. 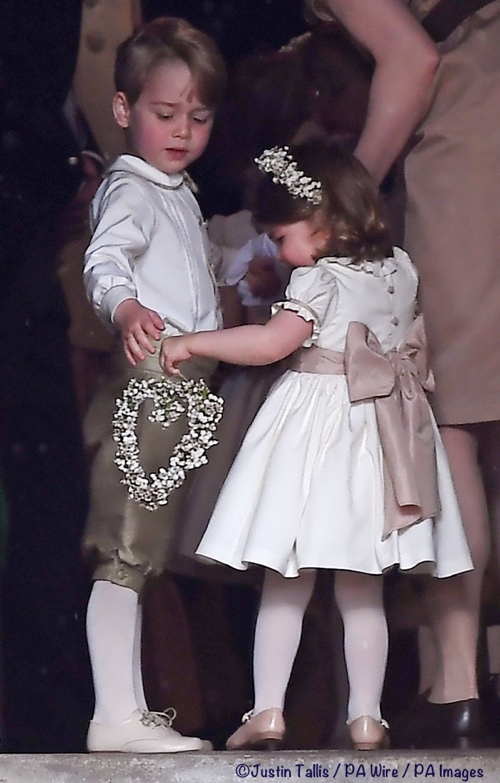 Of course, it was at Pippa’s wedding last May that George and Charlotte made one of their most charming appearances. In just about a month we can expect more darling photos, when the children are expected to fill similar roles at their Uncle Harry’s wedding to Meghan Markle. Do you think we’ll see more of Charlotte’s royal wave? Kate’s mother Carole, as well as her brother James, also paid a visit this week. Grandma Middleton is reporting for royal baby duty! Carole Middleton arrived at Kensington Palace on Wednesday to meet her newest grandson and to check in on daughter, Kate Middleton. The famously hands-on grandmother also picked up Prince George from school, while Kate tended to her newest arrival. Dad Prince William took part in Anzac Day memorial service on Wednesday at Westminster Abbey before heading back home to be with his family. We’ll keep you updated with all of the news about Prince Louis; we are hoping for a new family portrait in the not-too-distant future. 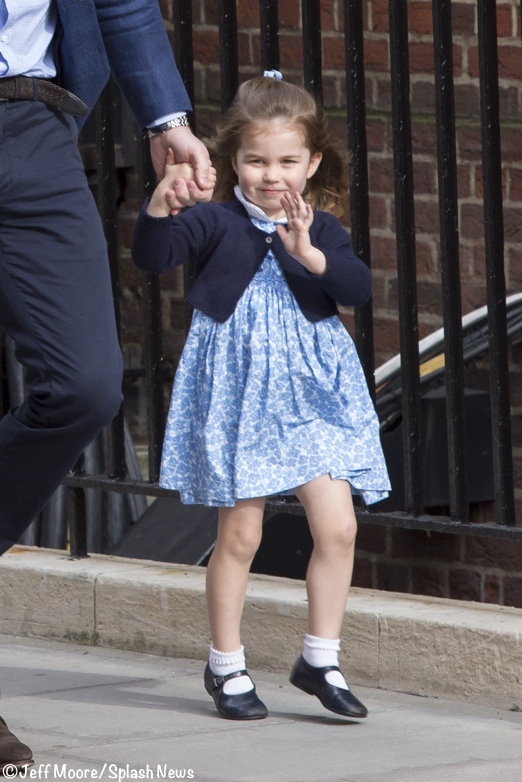 And we are also expecting a new photo portrait of Charlotte marking her third birthday next Tuesday. 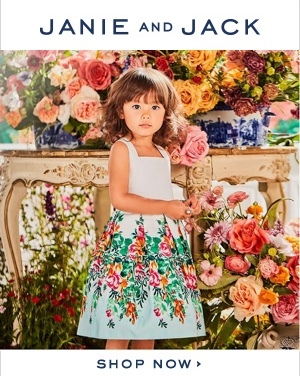 Our other note before we get to look at all of the cute La Coqueta styles is about the Hello! 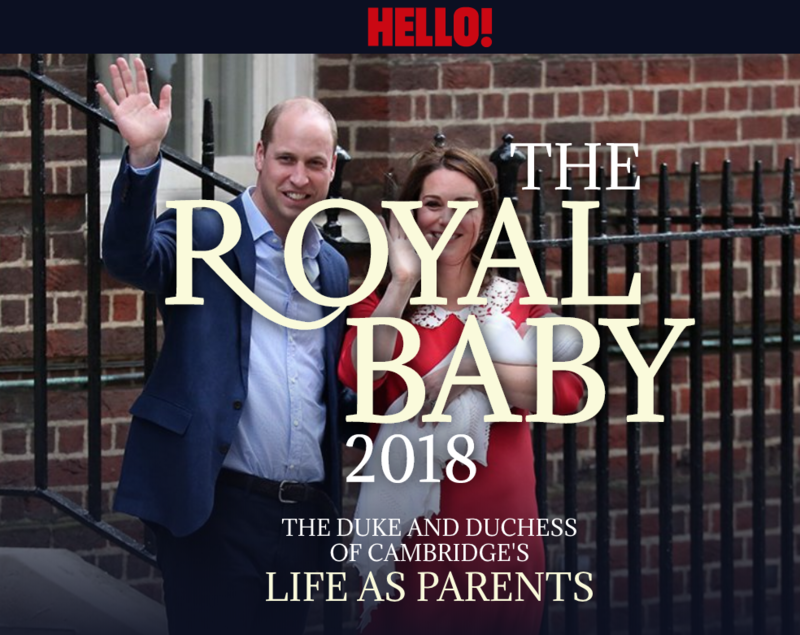 Royal Baby 2018 special coverage . 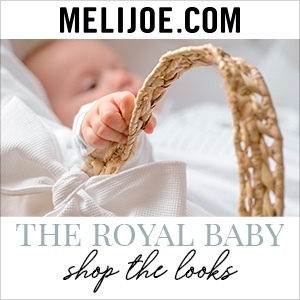 The magazine put together a special section on its site that is all about the royal baby, now known as Prince Louis. There is a lot of special content and it’s been updated with all of the latest news and photos. There are lots of photo galleries and slide shows, videos and stories covering George, Charlotte and now Prince Louis. The idea for the business came to Celia when her first daughter was born. I am a mother of five and come from a large Spanish family myself. 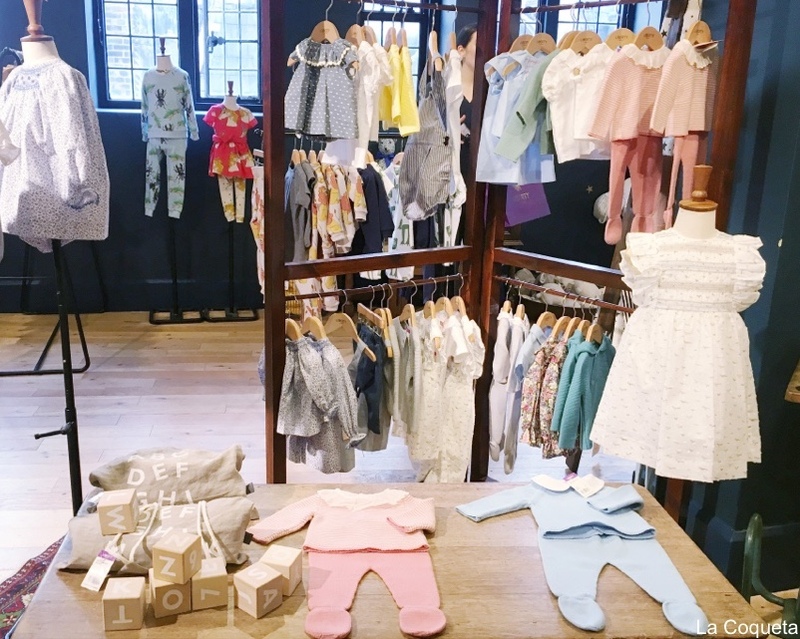 When my first daughter Flavia was born in 2008, we were showered with beautiful gifts – mainly adorable clothes made by Spanish designers. I started bringing back Spanish clothing and accessories for my London friends on my visits home, and also developed relationships with various designers in Spain. 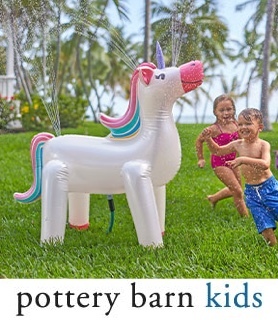 While preparing for the birth of my fifth child in 2012, I thought it was time to follow my passion. “Now or never” I thought to myself and La Coqueta was born – my sixth baby you might say! The brand features traditional designs with a contemporary look, as seen in these styles from the spring/summer collection. 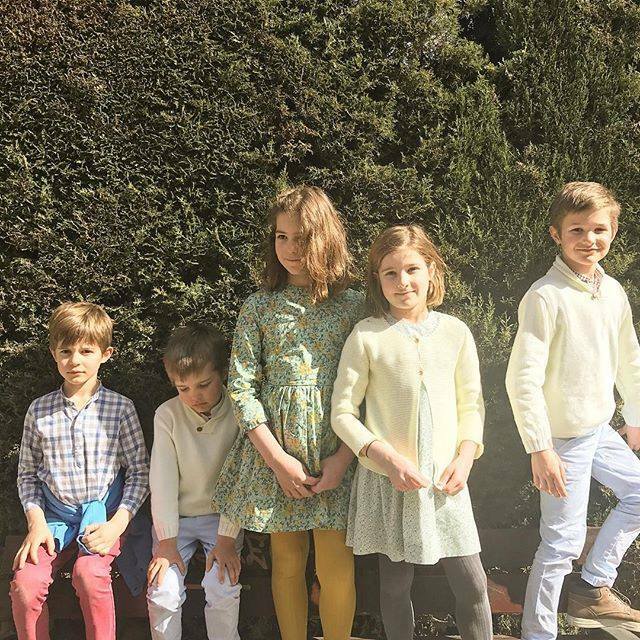 Celia’s five children now, all wearing La Coqueta designs. Every garment’s origin can be traced back to a Spanish family run business and the skills and methods used are centuries old. 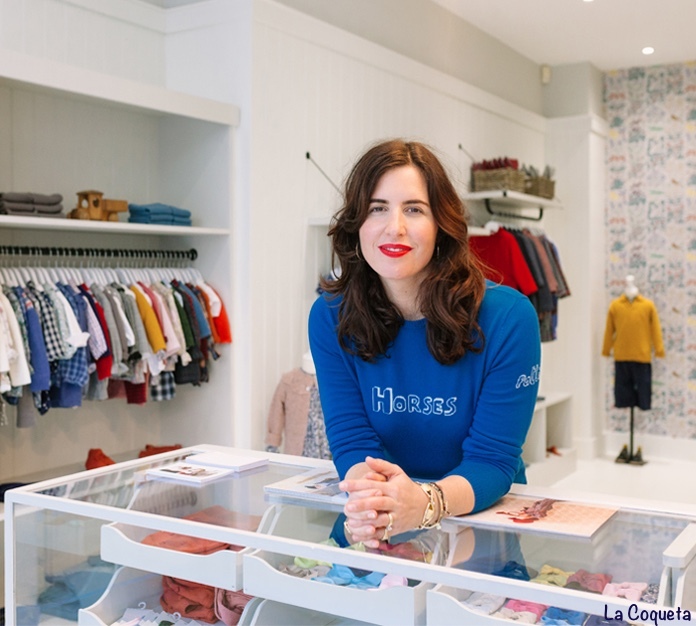 Celia opened the first La Coqueta store in the heart of Hampstead; now there are stores in Notting Hill and Battersea as well, and the brand is carried by Liberty London. 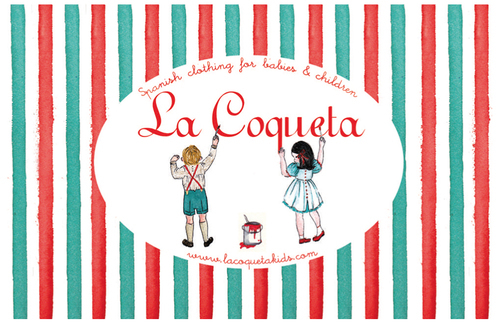 My favorite thing about doing posts introducing new sponsors is seeing the styles they offer; I very much enjoyed learning all about the treasures at La Coqueta. Here is a look at styles from the spring/summer 2018 collection. We begin with the Popeye Baby Romper Suit. 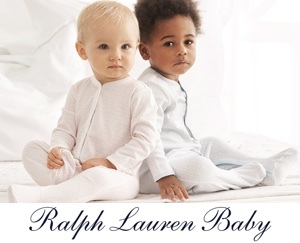 Made in a soft cotton knit, the one-piece features a white collar and mother of pearl buttons. 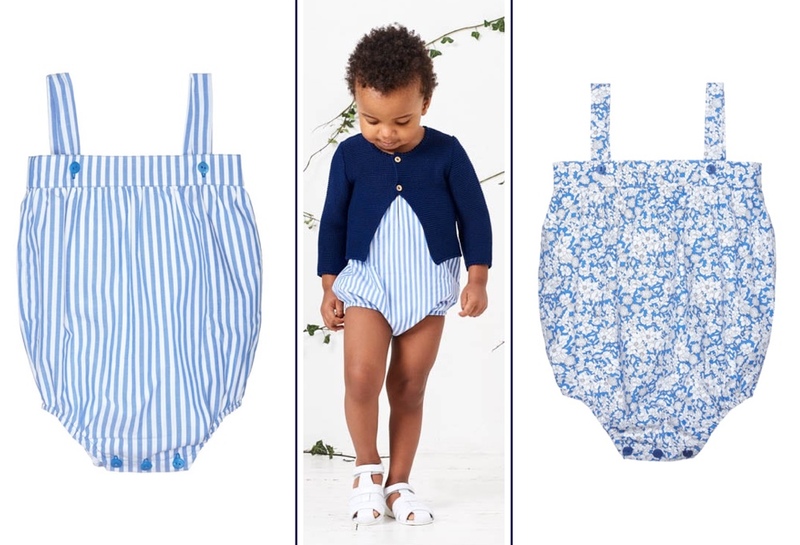 Two styles that are just darling, the Aralia Baby Set for girls in a soft cornflower blue linen with matching bloomers. 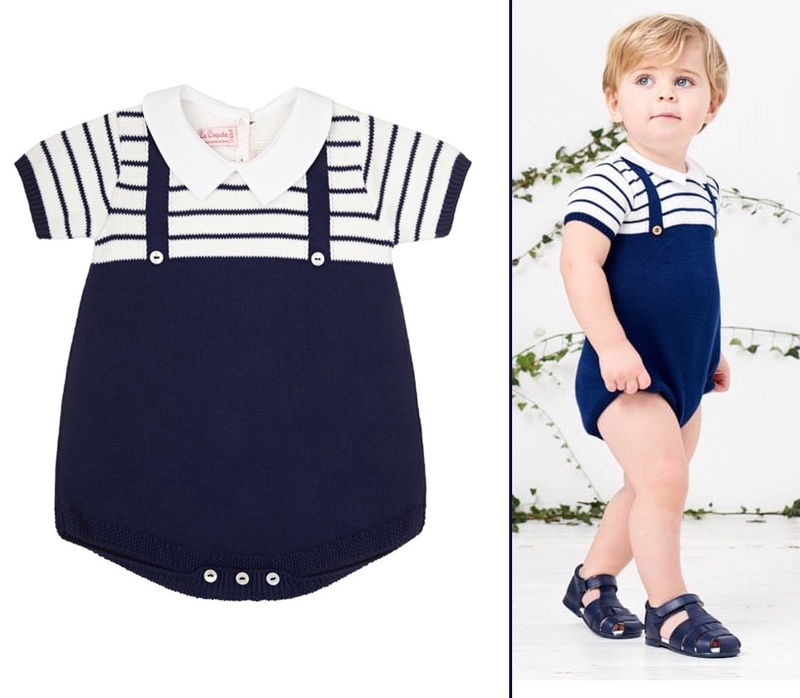 The Aralia Boy Set is done in that beautiful blue and white, contrast piping on the Peter Pan collar, reminiscent of a few of Prince George’s outfits. Here is a timeless girl’s style, the Bergia Baby Smock Set in dusty pink polka dot. The Bergia is one of many smocked pieces offered by the retailer. Below, the Agrimonia Smock Jumper in 100% cotton with its hand-smocked yoke, butterfly sleeves and elasticized leg holes. 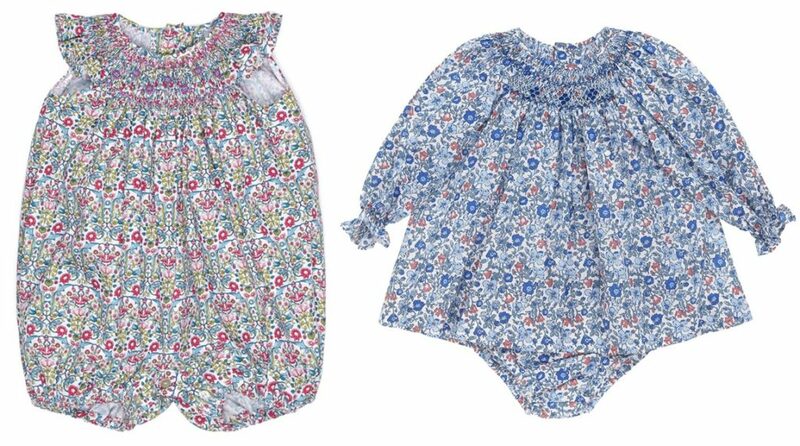 On the right, La Coqueta’s Gazania Baby Smock Set in a pretty floral print, featuring hand-smocking and matching bloomers. There are plenty of classic pieces in the boy’s spring/summer ’18 collection. Below left, the Ceiba Shirt (l) in 100% cotton, and on the right, the Bocusi Bermuda Shorts. The shirt is 100% cotton and machine washable, while the shorts have an adjustable waistband and are made in a 96% cotton/4% elastane blend; the elastane provides stretch for ease of movement and comfort. Both pieces can go in the washing machine. 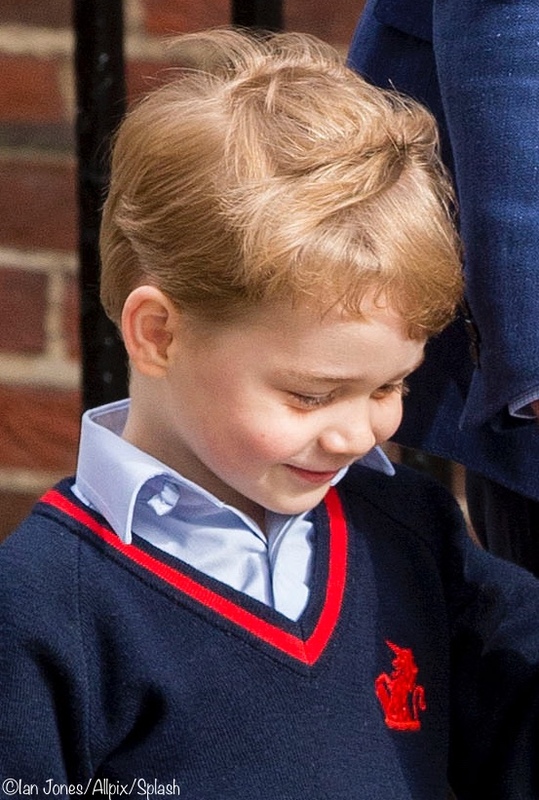 Prince George wore a shirt with a similar collar in last year’s birthday photo. 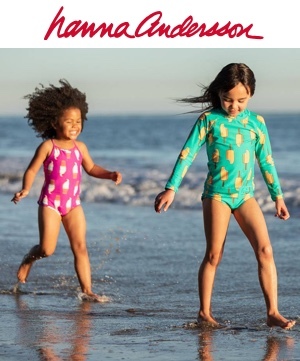 There is a great selection of summery girl’s dresses to choose from in a variety of colors and styles. Here is the Calistema dress in a lovely grey and white linen; the dress has a Peter Pan collar, cap sleeves and a bow at the back. 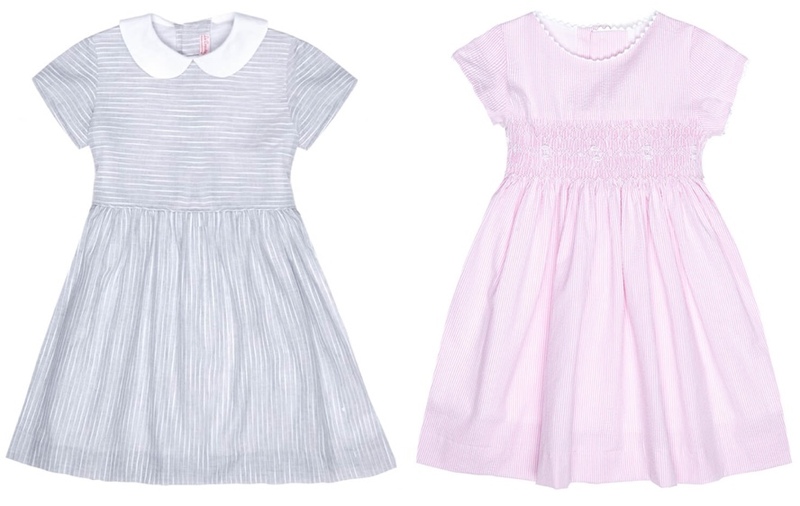 On the right, the Angelica Dress showcases hand-smocking, cap sleeves, ric-rac at the neckline and a bow on the back. 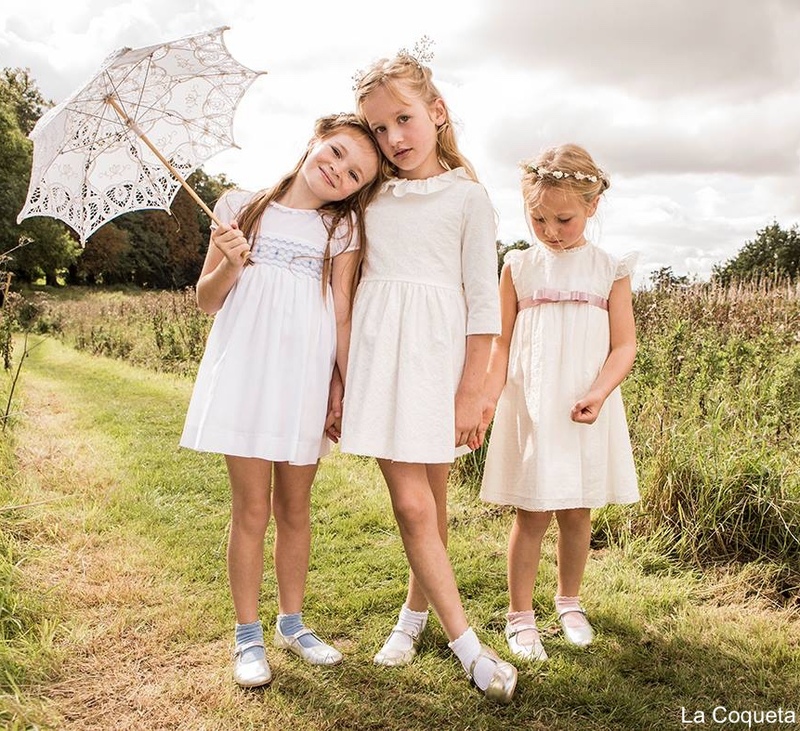 La Coqueta offers a range of beautiful pieces for special occasions. 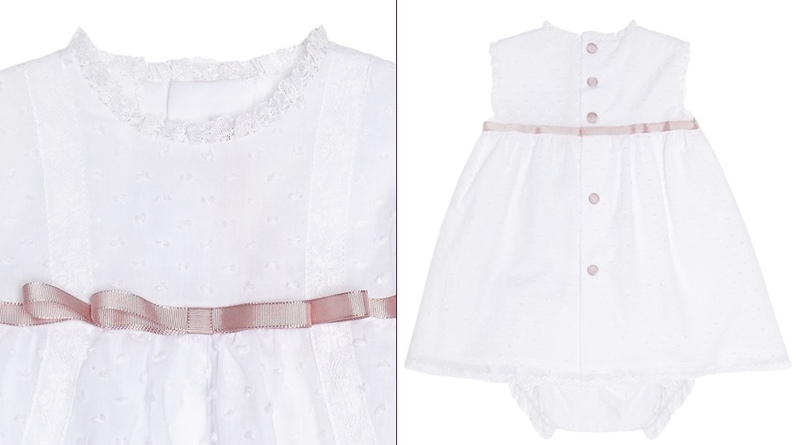 Below, (from left to right) the Carlina Baby Ceremony Romper, the Boys Carlina Ceremony Set and the Carlina Girl Ceremony Dress. 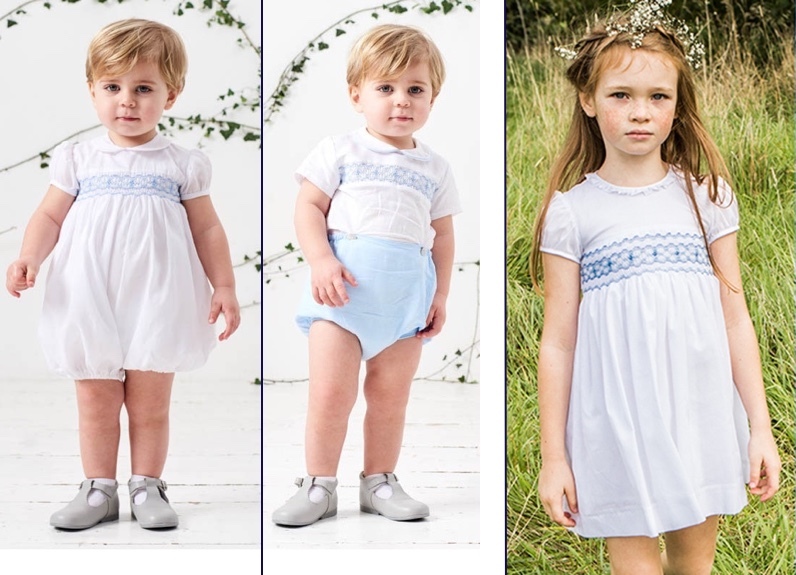 All are 100% cotton, and all feature dusty blue smocking. (They can also be machine washed on gentle cycle, or by hand.) 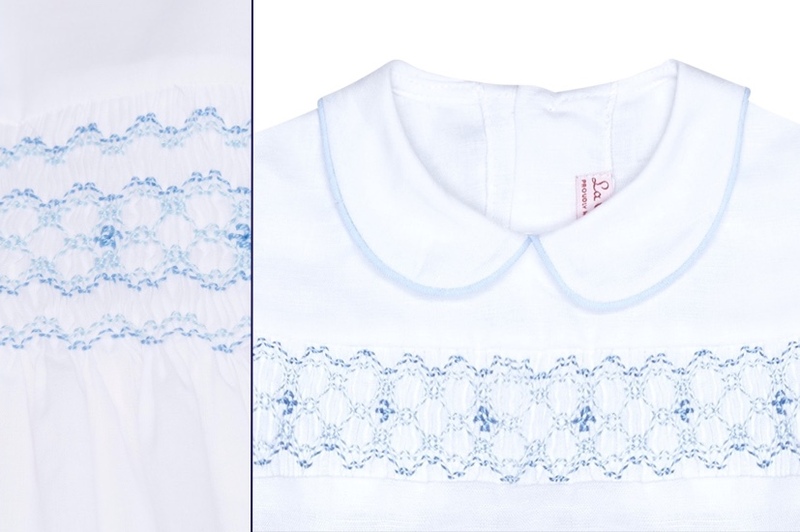 Here’s a closer look at the smocking, along with the piping on the Peter Pan collar. 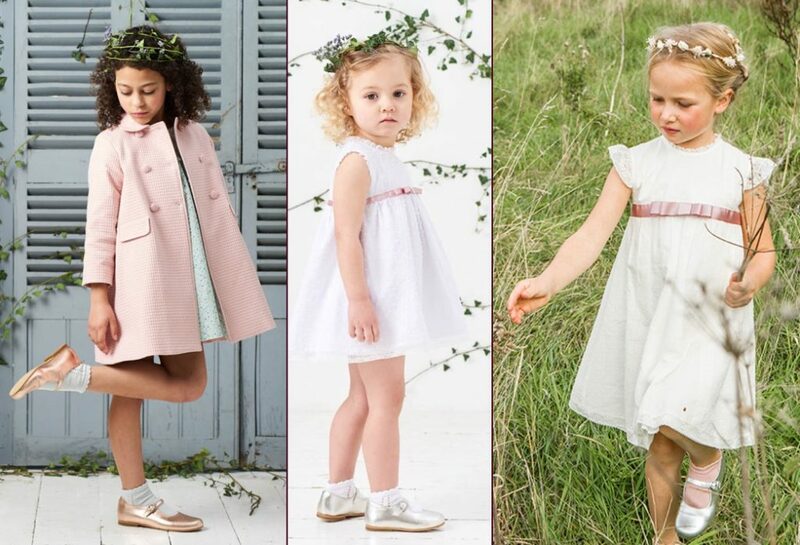 More occasionwear designs, from left to right: the Arrieta Girls Coat in dusty pink; in the center, the Herminia Baby Ceremony Set and on the right, the Herminia Ceremony Dress. The two dresses are crafted from ivory cotton with dusty pink satin ribbon. The dresses are done in plumetti, a very fine lightweight cotton fabric that is textured; I hope you can see that in this photo. Both have French lace at the neckline and the girl’s dress features butterfly sleeves. 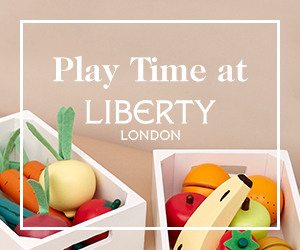 Like the boy’s styles seen up above, these pieces may also be machine washed on gentle cycle. 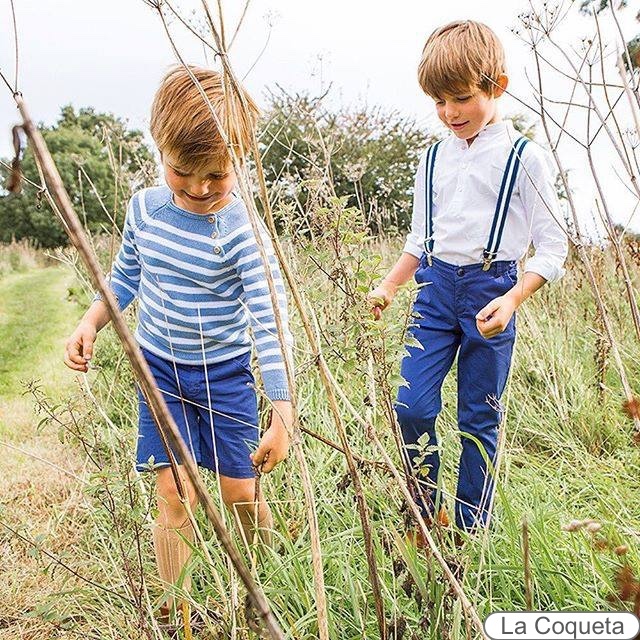 La Coqueta stocks a full range of accessories from classic footwear to hair bows. 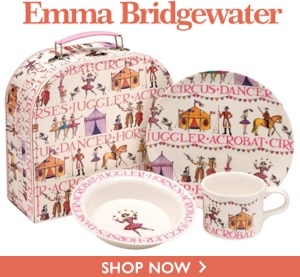 Below, basics include the Pram Mary Janes, as well as a T-Bar style and Mini Mary Janes. 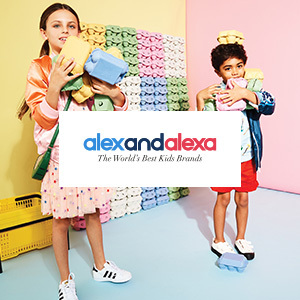 Older girls will enjoy the Canvas Plimsolls in a rainbow of colors, the Arvaca Sandal, and Suede Desert Boots (the sandal, boot and other styles come in an array of colors). Boys styles include a classic Boat Shoe, as well as Nappa Leather Loafers, and Brogue Suede Trainer. There is also an excellent selection of socks and tights. As well as hair accessories. Additional accessories include hats, scarves, blankets, booties and bonnets. We hope you enjoy getting to know La Coqueta as much as we have. You can keep up to date via the company’s Facebook page, its Instagram page, or on Twitter; there is also an excellent blog. 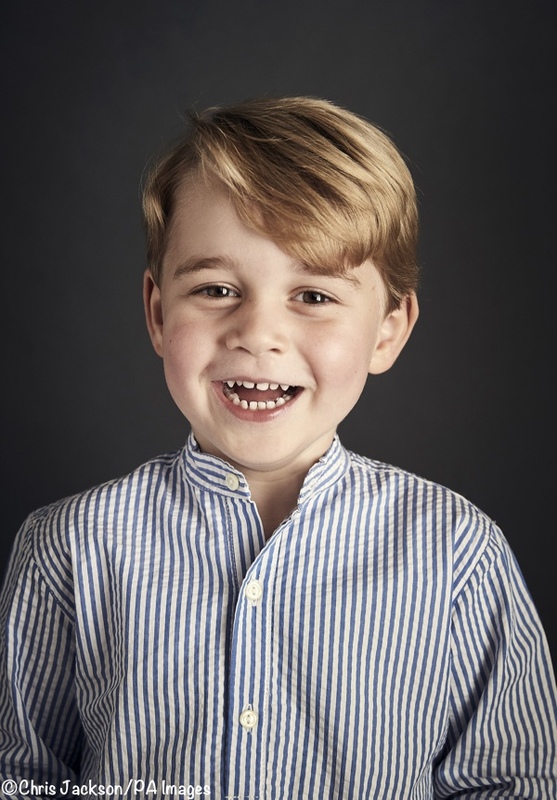 « Prince George and Princess Charlotte Have a Little Brother!